Mexican tourism officials had been working hard to make Mexican tourist destinations safe. The message remains tourists are safe in Mexico and not the target of drug cartel-related attacks. Playa del Carmen is a Mexican Resort city at the Yucatán Peninsula’s Riviera Maya strip of the Caribbean shoreline. In the state of Quintana Roo, it’s known for its palm-lined beaches and coral reefs. Its Quinta Avenida pedestrian thoroughfare runs parallel to the beach, with blocks of shops, restaurants, and nightspots ranging from laid-back bars to dance clubs. Just ten minutes away from tourists having a great time, 7 local visitors to the Las Virginias bar on Sunday night weren’t so lucky in this busy local establishment. They ended up being killed when gunmen attacked this low-income neighborhood away from the beaches and the tourists. 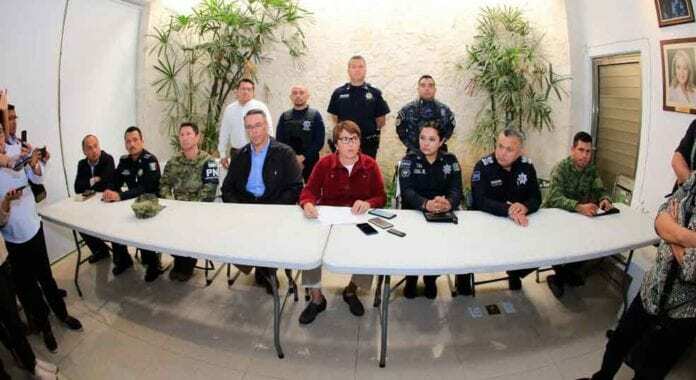 The Quintana Roo Attorney General’s Office confirmed no foreigners or tourists were hurt in this massacre on Monday, when gunmen opened fire in a crowded bar in this Mexican resort city of Playa del Carmen, killing seven people. “Six people lost their lives at the scene, and a seventh subsequently died while being taken to the hospital,” the public security minister for the state of Quintana Roo, Alberto Capella, told TV network Televisa after the Sunday night attack. Playa del Carmen and nearby Cancun are the top tourist destinations in Mexico, famous for their turquoise waters and white-sand Caribbean beaches. But they have been increasingly hit by violence as Mexico’s powerful drug cartels fight for control of the area. Capella said the latest incident bore the hallmarks of a drug cartel hit, but authorities have yet to arrest any suspects. Since 2006 more than 200,000 people have been murdered in Mexico including a record 28,711 in 2017. Preliminary figures indicate the homicide record was broken again in 2018. Most murders are related to the illegal drug trade. Jamaica Tourism Minister describes the Tourism Workers’ Pension Scheme, receiving $1 billion from the Jamaica Tourism Enhancement Fund. UNWTO surprising termination of Alla Peressolova: A Chinese Silkroad Tourism twist?